Jackson, Wyo., Mayor Pete Muldoon is looking to completely transform the way his resort town handles parking, for one reason. 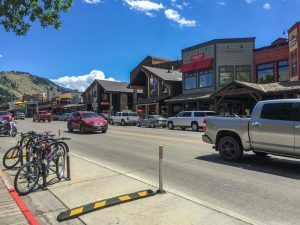 Jackson has no parking department but that might change in a plan currently being formulated based on the success found by Aspen, Colo., when it began charging for parking in 1995. Muldoon has a vision: Solar-powered kiosks and revenue that could be used to fund a parking department and help with street maintenance and public-works projects. And, he hopes, something less of a parking crunch during high tourist season. Read more about it here. Mayor Muldoon, we’re cheering you on from here!